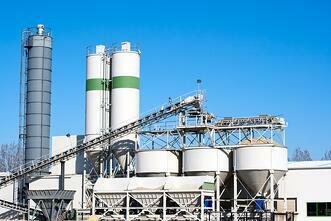 Most cement facilities are classified as “major sources” per EPA regulations. This means they have much stricter emissions limits and monitoring regulations than other facilities that fall under area source classification. 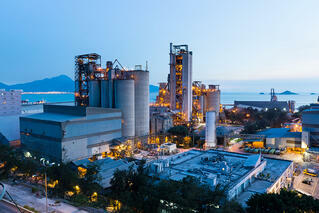 Most cement emissions concern the kiln and clinker cooler systems. 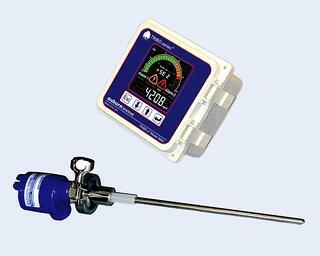 These usually require CEMS or CPMS systems based on opacity monitoring to comply. However, triboelectric monitoring can complement these systems when used as a bag leak detection system. On larger multi-compartment dust collection systems typically found in this environment, opacity monitors are not capable of detecting a leaking filter as quickly as a triboelectric dust monitor installed in the compartment outlet can,. The delay until the leak becomes visual emissions can actually be days - often allowing a leak to enlarge to a significant size. The leak may result in an opacity excursion that requires a significant amount of remediation work to clean out the compartment. In contrast, Tribo.dsp systems from Auburn can provide early warning of leaks to allow time to proactively plan baghouse maintenance - in some cases, even predicting a leak before it acutally develops. This can reduce the time required for finding leaks to minutes, identifying down to the specific unit, compartment and even row of bags. Additionally, the increased sensitivity provides operators with the ability to more accurately predict when filters will need to be replaced, allowing for more efficient management of filter service life and reducing production downtime, maintenance labor and media costs. Besides the Kiln and Clinker Cooler collectors, usually within a cement facility there exist many other collectors that are required to be monitored to fulfill air permits. Often DP or visual emissions (Method 9 or 22) need to be taken daily requiring labor resources. By installing broken bag detectors on these collectors, cement plants have been able to eliminate the need for daily monitoring allowing the instrumentation to provide round the clock continuous monitoring of the collector emissions. Besides reducing the labor commitment of logging pressure readings or making visual observations, the detector provides the same maintenance benefits and savings as mentioned above. Often the best solution for staying in compliance with your environmental reguations is to simply perform good dust collector maintenance practices. Triboelectric bag leak detection systems and well maintained baghouse controls can provie that solution. Triboelectric technology has a number of different applications within cement facilities with the potential to improve efficiency, reliability and cut operating costs. For a more detailed explanation of how triboelectric detection technology can benefit your dust collection systems at your plant, Contact Auburn Systems today to discuss your application! Want to read more before you talk to an engineer? Our Cement case study provides a deeper dive into the details of monitoring.